The Swedish online shop Outl1 sells seasonal products. In the summer, you can buy there garden trampolines and bicycles, and in the winter they sell heat pumps and snow ploughs. Such a changing profile of the items stored in the warehouse required a solution which would allow handling a big number of products and keeping an easy access to them. The goal was to ensure, at the same time, the full safety of storage of the products, so that they would not lose their qualities. These conditions were met by Pallet Shuttle. For several years, the online shop has been selling imported products. Outl1is supported by Arc E-Commerce AB to offer sport, recreation, workout and fitness products without intermediaries. Clear savings of costs were a result of resigning from the use of expensive shopping spaces. It means benefits, but also certain problems. The most important problem for the company was to maintain balance in the number of each type of products, so that it would not be too much and too little of them. Most of the products sold in Outl1 are imported from China. Due to a long time needed to place the product in the online shop and then to order an appropriate number of items, the owner has to skilfully explore the market and know which product will be most demanded. As Outl1 is an online shop, the headquarters of the company are in the Internet. This is the place where the company searches for product suppliers, customers and also storage services. And exactly this way, Constructor company was found. Its specialists were hired to implement a new warehouse arrangement and organization. The designers of the logistics system had to consider such limitations as the warehouse dimensions. There are massive supporting columns placed across the building. The profile of the items stored was another condition (especially a huge number of diverse products, transported and stored on the pallets of different sizes), but also the numerous products stored in bulk. After a thorough analysis, the management decided that Pallet Shuttle system was an appropriate solution in this situation, ensuring not only proper storage conditions but also the right conditions of order picking and dispatching products. 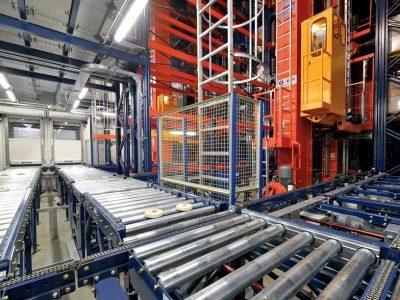 Pallet Shuttle is a modern, semi-automated solution for storing products in channels. 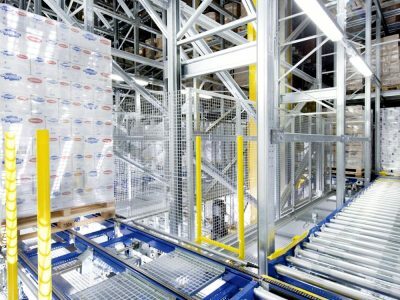 It eliminates the need for forklifts moving in the aisles. The system, on the one hand, ensures efficient storage of items, optimization of storage, loading and unloading, and, on the other hand, involves only a minimum risk or equipment damage. 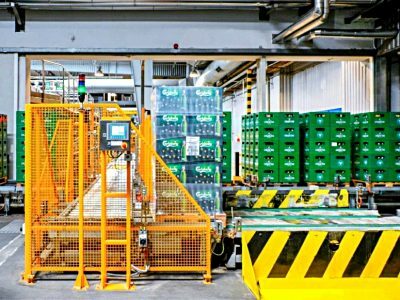 The products in the channels are fully handled with Pallet Shuttle, which is remotely controlled by the user. 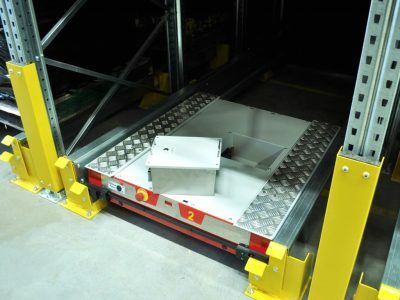 It eliminates a need to use a forklift to access a storage channel. The pallets outside the rack are handled with standard forklifts. The pallets are placed on the pallet truck (powered with a battery), which transports them in a rack. Pallet Shuttle system may work as FIFO (First In, First Out) or LIFO (Last In First Out). The solution applied in Outl1 is based on four sections with three storage levels (15 pallets deep), providing 540 pallet spaces (typical Euro pallets with dimensions of 800 x 1200 mm), and all of them are fully available for Shuttle transporter. The rack is 4-metre-high, and its loading capacity is 500 kg/pallet. The transporter’s task is to drag and move a selected pallet from and to the right place. The automation of this process accelerates the operation. The biggest benefit of using Shuttle system was that we could decrease the space. It also allowed us to use only one forklift” – said Joacim Boivie, owner of the online shop.